Please email your completed Application Form to nurseries@hamdhouse.co.uk stating which position you are applying for. Salary dependent upon experience. 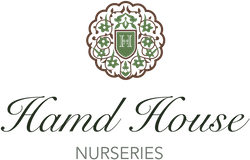 Hamd House Nurseries are a chain of five 'outstanding' nurseries based in Birmingham, UK. We welcome children of all faiths, cultures, needs and abilities and are dedicated to ensuring every child in our care is happy and fulfilled.